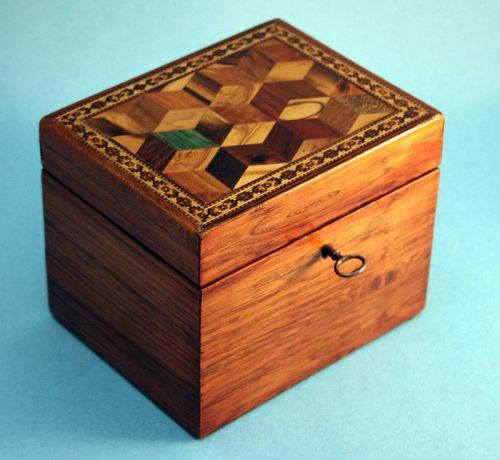 Fine 18th Century English Tea Caddy in satinwood; banded and string inlaid and with fan patterae on front and top. Circa 1790. 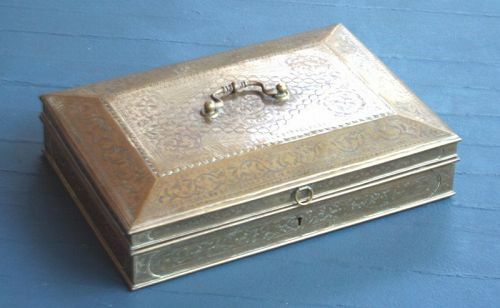 Antique Bird's-Eye Maple Tea Caddy of sarcophagus form having a hinged, canted lid with line inlay, lions head brass carrying handles and pressed brass ball form feet. 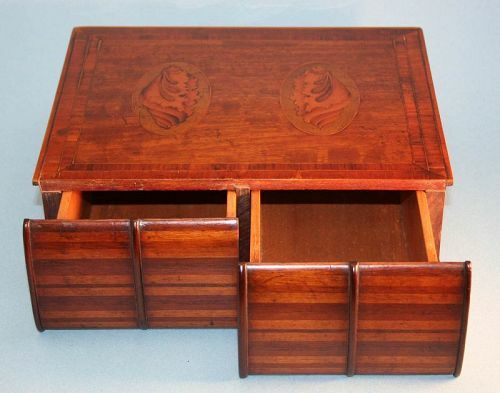 Probably American, circa 1820. 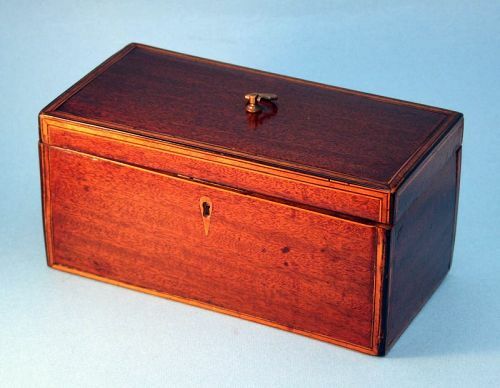 Early George II Tea Caddy in rosewood with walnut banding: rectangular with rounded corners and retaining its' original brass carrying handle, escutcheon and paw form feet. 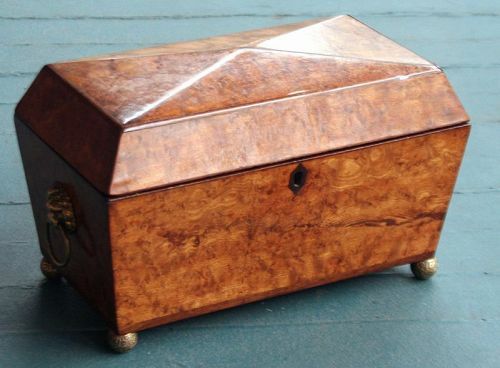 Fine blonde tortoise Regency tea caddy of rectangular form with rounded corners and opening to an interior fitted with two lidded compartments. 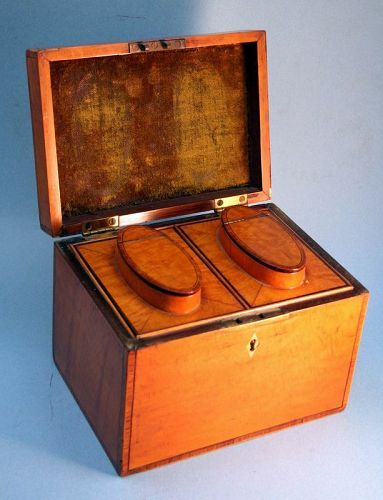 English, Circa 1800. **Please Note: This item cannot be sold to buyers outside of Virginia. 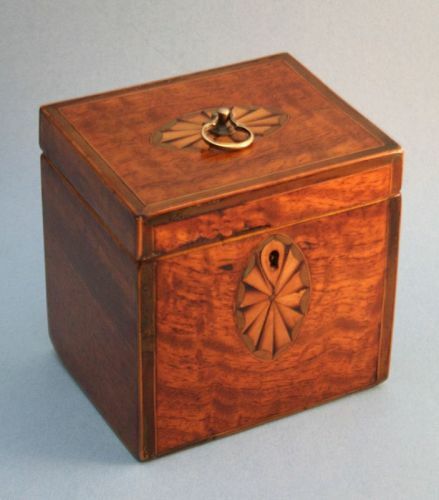 English Regency tea chest in rosewood with boxwood stringing, of sarcophagus form with pressed brass handles in the form of the Russian eagle, ivory ball feet and escutchon; the slight pyramidal lid opeinng to a fitted interior with two removable lidded caddies and cut crystal sugar bowl. 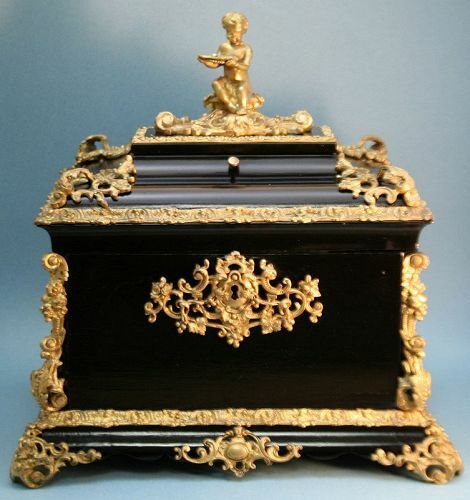 Circa 1820 Provenance: The Cockrell Collection. 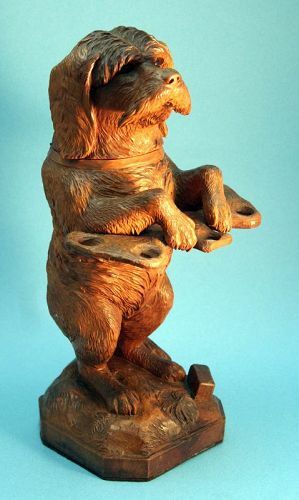 Best Quality Black Forest Dog-form Humidor and Pipe Rack; carved wood dog with glass eyes standing on his hind legs and holding a tray for pipes. 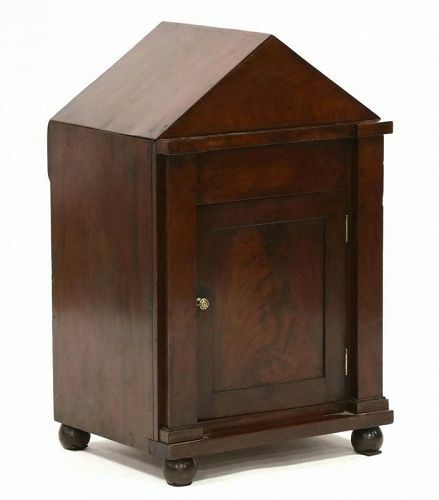 His head is hinged and opens to a tobacco well. Swiss or German circa 1870. 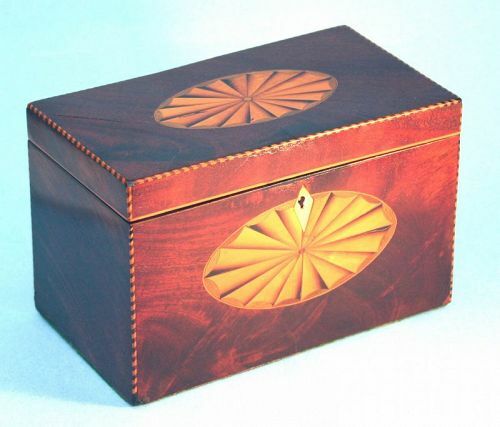 Antique Sheraton Tea Caddy in mahogany, the rectangular top opens to two compartments, with inlaid fan patterae on front and lid and herringbone stringing. 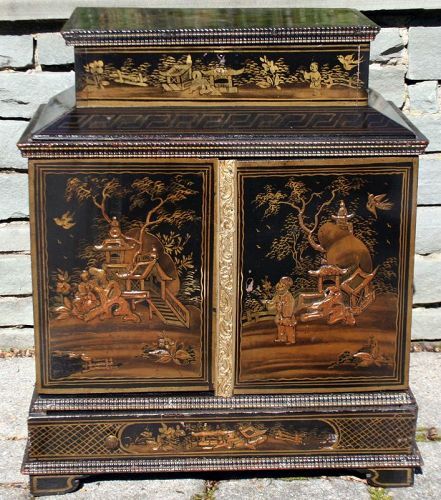 English, circa 1780.